City Officials announced the results of recent investigations into illegal tobacco sales in Chicago, following an expansion to the City’s enforcement units to more aggressively intervene in businesses selling tobacco products illegally. In the last few weeks alone, City tobacco enforcement units have uncovered 192 violations, resulting in the seizure of 797 packs of unstamped cigarettes from delinquent businesses. The 136 investigations and subsequent actions announced are a direct result of the expansion of the Mayor’s tobacco enforcement units. The Tobacco Unit—a joint partnership between the Department of Business Affairs and Consumer Protection (BACP) and the Chicago Police Department (CPD)—was developed to enforce illegal tobacco sales and crack down on all illegal tobacco activity. 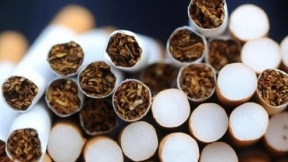 In the past year alone, BACP has revoked 38 tobacco licenses due to violations. BACP and CPD have begun working with aldermen to address complaints about loose tobacco sales both on the streets and at businesses. BACP enforces and writes violations for both the Cook County and City of Chicago Codes relating to unstamped cigarette sales. The fine for unstamped cigarette sales was increased from $1,000 to $2,000 for 1-40 packs of, plus $50 per pack for 41 or more packs. Following the introduction of the tobacco prevention ordinance this year, the Emanuel Administration worked closely with aldermen to strengthen the ordinance and to combat illegal tobacco sales. City Council is expected to vote on the ordinance at its March 2016 meeting.